If you or a loved one is unable to work because of an injury or illness, our experienced Social Security attorneys are here to help you understand your rights and collect the Social Security benefits that you deserve. We know that your life has been turned upside down if you are unable to work. You need to collect your Social Security Benefits as soon as possible, in order to support yourself and your family. You need answers to your questions – and you need them fast! 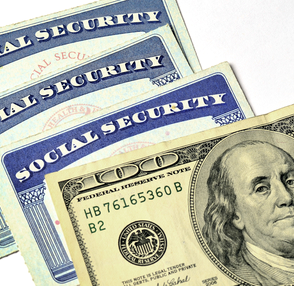 Our Long Beach Social Security attorneys have obtained millions of dollars in Social Security benefits for thousands of clients in Orange County, the greater Los Angeles area and Southern California. In this list we have put together articles that answer the most commonly asked questions about collecting Social Security benefits in California. If you have Social Security questions, read the articles below – or call us to schedule a FREE CONSULTATION with an experienced Long Beach Social Security attorney. What is The Difference Between SSI & SSD? How Much Can I Earn While Collecting Social Security SSI? How Disabled Must I be to Collect Social Security Disability? Social Security laws and regulations can be complicated and confusing. Our experienced Social Security attorneys are here to answer your questions. Only an experienced Social Security attorney can explain how the law applies to your unique situation. If you or a loved one are injured & unable to work, call us. We care. We can help. 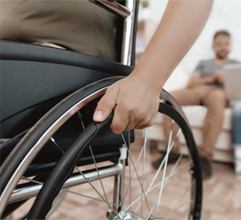 The Law Office of Cantrell Green is a group of highly qualified and experienced disability attorneys who have obtained millions of dollars in Social Security Disability benefits for thousands of clients in Orange County and the greater Los Angeles. Our lawyers care about every client, and fight tirelessly to obtain the benefits you deserve.